Danny Drinkwater has put pen to paper on a new five-year contract with Leicester City. According to The Sun, Drinkwater snubbed interest from Tottenham Hotspur to commit his future to the Foxes. The Daily Mail report that the new Drinkwater contract includes a weekly wage of £90,000, which breaks down to £12,857.14 a day, £535.71 an hour and £8.93 minute. 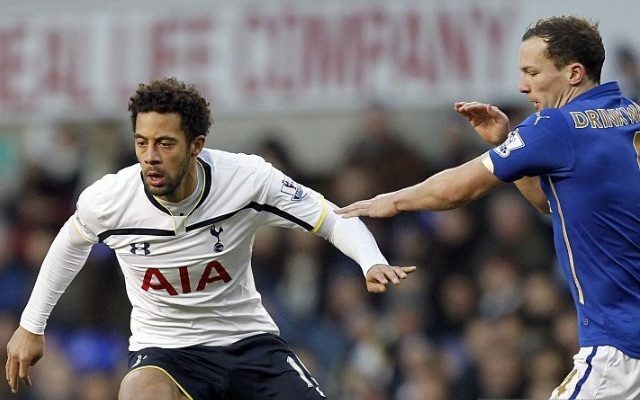 Tottenham’s main man in midfield is arguably Belgium international Mousa Dembele, 29. Demebele signed his latest contract in January and it was claimed by the Daily Star in April that the former Fulham man is earning £55,000 a week. That would mean that Drinkwater is now on £35,000 more than Dembele. Both men had excellent seasons last term. Drinkwater was one of the chief Leicester heroes as the Foxes won the Premier League, while Dembele provided the midfield power as Spurs came third. Drinkwater scored twice and provided seven assists in 3,039 Premier League minutes, while Dembele hit the net three times and laid on one assist in 2,273 minutes.